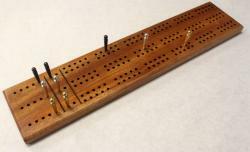 This is our three track King Extra cribbage board. The King boards are named after, and inspired by, one of our customers, Paul King of Oregon. 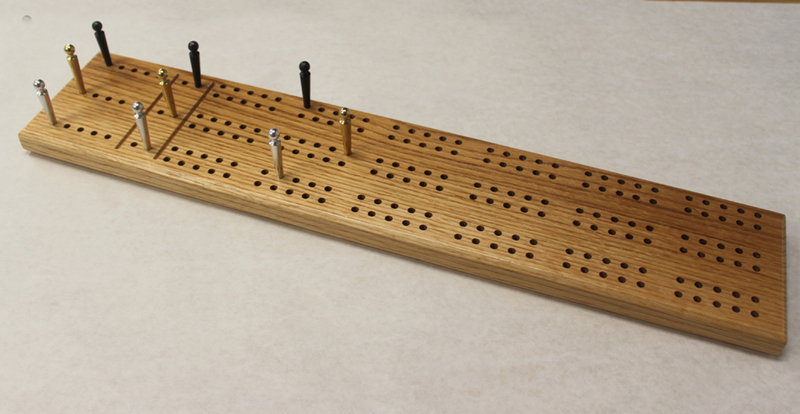 The King Extra is larger than the King, has an extra track and also has scoring holes. The board is 20.5" long, 4.5 inches wide and 3/4" thick. It does not come with engraving included as standard, but you can add extra engraving on the back if required. 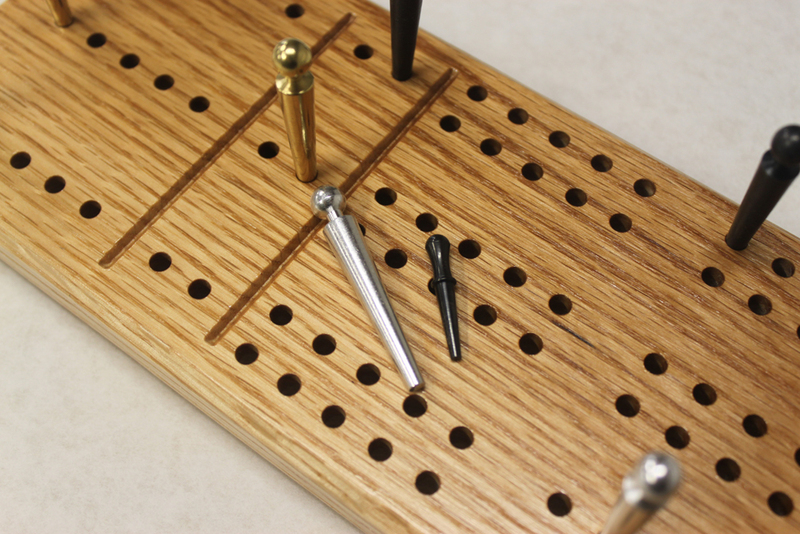 Each hole is 3/16" in diameter, and the board comes with nine giant-sized 2" long metal pegs. They live in pockets in the back of the board, secured by sliding brass plates. This way, you'll never forget where you put your pegs!